Earlier this week, we wrote about the accusations that the CIA was spying on Senate staffers on the Senate Intelligence Committee as they were working on a massive $40 million, 6,300-page report condemning the CIA’s torture program. The DOJ is apparently already investigating if the CIA violated computer hacking laws in spying on the Senate Intelligence Committee computers. The issue revolved around a draft of an internal review by the CIA, which apparently corroborates many of the Senate report’s findings — but which the CIA did not hand over to the Senate. This internal report not only supports the Senate report’s findings, but also shows that the CIA has been lying in response to questions about the terror program. In response to all of this, it appears that the CIA is attempting, weakly, to spin this as being the Senate staffers’ fault, arguing that the real breach was the fact that the Senate staffers somehow broke the rules in obtaining that internal review. CIA boss John Brennan’s statement hints at the fact that he thinks the real problem was with the way the staffers acted, suggesting that an investigation would fault “the legislative” branch (the Senate) rather than the executive (the CIA). In his statement on Wednesday Brennan hit back in unusually strong terms. “I am deeply dismayed that some members of the Senate have decided to make spurious allegations about CIA actions that are wholly unsupported by the facts,” Brennan said. A further report detailed what he’s talking about. Reporters at McClatchy have revealed that the Senate staffers working on this came across the document, printed it out, and simply walked out of the CIA and over to the Senate with it, and the CIA is furious about that. Then, in a moment of pure stupidity, the CIA appears to have confronted the Senate Intelligence Committee about all of this… directly revealing that they were spying on the Committee staffers. Several months after the CIA submitted its official response to the committee report, aides discovered in the database of top-secret documents at CIA headquarters a draft of an internal review ordered by former CIA Director Leon Panetta of the materials released to the panel, said the knowledgeable person. They determined that it showed that the CIA leadership disputed report findings that they knew were corroborated by the so-called Panetta review, said the knowledgeable person. The aides printed the material, walked out of CIA headquarters with it and took it to Capitol Hill, said the knowledgeable person. The CIA discovered the security breach and brought it to the committee’s attention in January, leading to a determination that the agency recorded the staffers’ use of the computers in the high-security research room, and then confirmed the breach by reviewing the usage data, said the knowledgeable person. There are many more details in the McClatchy report, which I highly recommend reading. And, yes, perhaps there’s an argument that Senate staffers weren’t supposed to take such documents, but the CIA trying to spin this by saying it was those staffers who were engaged in “wrongdoing” is almost certainly going to fall flat with Congress. After all, the intelligence committee is charged with oversight of the CIA, not the other way around. “You stole the documents we were hiding from you which proved we were lying, so we spied on you to find out how you did that” is not, exactly, the kind of argument that too many people are going to find compelling. Still, the latest is that the CIA has successfully convinced the DOJ to have the FBI kick off an investigation of the Senate staffers, rather than of the CIA breaking the law and spying on their overseers. “I have no comment. You should talk to those folks that are giving away classified information and get their opinion,” Intelligence Committee Vice Chairman Saxby Chambliss (R-Ga.) said when asked about the alleged intrusions. The US defense chief has vowed to continue enhancing the Israeli regime’s so-called Iron Dome missile shield which proved ineffective in face of Palestinians’ retaliatory rocket in the recent war on the Gaza Strip. Despite Panetta’s repeated insistence during the press event about Iron Dome’s “success rate,” some American experts have questioned such claims by top US and Israeli officials, pointing to many Hamas-launched missiles that made it through the system, mounting intense pressure on the regime’s authorities to quickly agree to a ceasefire. “We will obviously continue to work together to seek additional funding to enable Israel to boost Iron Dome’s capacity further and to help prevent the kind of escalation and violence that we’ve seen,” Panetta emphasized. He added, according to the report, that the US granted USD70 million in fiscal year 2012 to fund the system, in addition to another USD205 million previously given to the Tel Aviv regime to develop the shield. Also at the event, Panetta pinned the Defense Department’s Medal for Distinguished Public Service on Barak, who declared on Monday that he plans to quit politics following national elections planned by the Israeli regime in January 2013. Alleging “al-Qaeda” presence in Mali, the United States has vowed to make the West African country, the next stop in its so-called war on terror. “Our approach is to make sure that al-Qaeda and elements of al-Qaeda have no place to hide. And we’ve gone after al-Qaeda wherever they are – whether it’s in [the northwestern Pakistan] FATA [Federally Administered Tribal Areas]; whether it’s in Yemen; whether it’s in Somalia; and whether they’re in North Africa,” he noted. The comments came amid reports that the CIA is currently flying some surveillance drones over northern Mali, and that France is also reportedly sending surveillance aircraft to the African country. A study, conducted by Stanford and New York Universities, has showed that only one in 50 people killed by US assassination drones in Pakistan — one of the several countries where the US has carried out drone strikes — are militants. The White House has filed an appeal in hopes of reversing a federal judge’s ruling that bans the indefinite military detention of Americans because attorneys for the president say they are justified to imprison alleged terrorists without charge. Manhattan federal court Judge Katherine Forrest ruled in May that the indefinite detention provisions signed into law late last year by US President Barack Obama failed to “pass constitutional muster” and ordered a temporary injunction to keep the military from locking up any person, American or other, over allegations of terrorist ties. On Monday, however, federal prosecutors representing President Obama and Defense Secretary Leon Panetta filed a claim with the 2nd US Circuit Court of Appeals in hopes of eliminating that ban. The plaintiffs “cannot point to a single example of the military’s detaining anyone for engaging in conduct even remotely similar to the type of expressive activities they allege could lead to detention,” Obama’s attorneys insist. With that, the White House is arguing that as long as the indefinite detention law hasn’t be enforced yet, there is no reason for a judge to invalidate it. Reuters reports this week that the government believes they are justified to have the authorization to lock alleged belligerents up indefinitely because cases involving militants directly aligned against the good of the US government warrants such punishment. Separate from Judge Forrest’s injunction, nine states have attempted to, at least in part, remove themselves from the indefinite detention provisions of included in the National Defense Authorization Act for Fiscal Year 2012, or NDAA. In section 1021 of the NDAA, the president’s authority to hold a terrorism suspect “without trial, until the end of the hostilities” is reaffirmed by Congress. Despite an accompanying signing statement voicing his opposition to that provision, President Obama quietly inked his name to the NDAA on December 31, 2011. In May, however, a group of plaintiffs including notable journalists and civil liberty proponents challenged section 1021 in court, leading to Justice Forrest to find it unconstitutional one month later. The original plaintiffs, who include Pulitzer Prize-winner Chris Hedges, have asked Justice Forrest to make her injunction permanent. Oral arguments in the case are expected to begin this week. To great surprise to New Delhi, Pakistan-supported anti-US Afghan Taliban leaders have praised India for resisting US-NATO calls for greater involvement in Afghanistan. There had been no assurance for the Americans, Taliban spokesman Zabihullah Mujahid told Reuters on Sunday. “It shows that India understands the facts,” he said. Regional analysts believe India, Pakistan and the Taliban are asserting their independence from the American world order. Last month, Hillary Clinton visited India in the hope of persuading the country to halt oil imports from the Islamic Republic or face sanctions itself. She was told by Indian officials that India needs to look after its own national interests rather than bow to US interests in the region. Last week, Barack Obama exempted India along with Turkey and Japan from the Zionists’ list of countries to be sanctioned for not following Israel’s anti-Iran agenda. Early this month, US secretary of defense, Leon Panetta, made a 3-day stop in India on his way to Afghanistan. In New Delhi, he urged Indian leaders to take a more active military role in Afghanistan. During his meeting with Indian Prime Minister Manmohan Singh, India national security adviser, Shiv Shankar and Indian Defense Minister A.K. Anthony – Panetta did not find them willing to have a military conflict with Pakistan by fighting against pro-Pakistan Taliban. India is America’s valued customer. In the past eleven years, India has bought around $8.5 billion worth of defense equipment from the United States. A senior United Nations human rights official says the killing of civilians in non-UN-sanctioned airstrikes by the US assassination drones in Pakistan is illegal and in violation of human rights. The United Nations High Commissioner for Human Rights Navi Pillay made the remarks on Thursday at the end of a four-day visit to Pakistan, where more than 150 people have died in twenty US drone attacks since the beginning of the year. “Drone attacks do raise serious questions about compliance with international law,” she added. The commissioner noted that in her opinion “the indiscriminate killings and injuries of civilians in any circumstances” was in violation of international norms of human rights. Pillay also called for a UN investigation into civilian casualties, which she said were difficult to track. “I suggested to the government that they invite the United Nations Special Rapporteur on Summary or Arbitrary Executions and he will be able to investigate some of the incidents,” she said. Washington claims its drone strikes target militants, though casualty figures clearly indicate that Pakistani civilians are the main victims of the non-UN-sanctioned attacks. On Tuesday, Pakistan’s Foreign Ministry summoned the US Charge d’affaires Richard Hoagland over Washington’s continued drone attacks saying they violate Pakistan sovereignty. However, the US Defense Secretary Leon Panetta says Washington would continue its drone attacks in the country despite complaints from Islamabad. NYT: How Can We Be No. 1 if Pentagon Budget Is Cut by 1/12th? Part of the 2011 Congressional debt reduction deal called for automatic cuts to social spending and military budgets over the next 10 years. The idea was that a deal to avoid these cuts would be struck, because Republicans wouldn’t want to cut the Pentagon, and Democrats would try to protect safety net programs. That didn’t happen, so these so-called “sequestration” cuts are prompting some alarm bells in the corporate media–ringing loudly at the mere thought of cutting the military budget. On January 2, national security is set to receive a heavy blow if Congress fails to intervene. That is when a 10-year, $600 billion, across-the-board spending cut is to hit the Pentagon, equal to roughly 8 percent of its current budget. Wow, this isn’t even about the military budget–it’s the very security of our nation. The dire warnings are not coming from Mr. Graham alone. They are coming at least as loudly from Leon E. Panetta, the secretary of defense. So not only hawkish Republicans are worried about Pentagon cuts. So is, you know, the head of the Pentagon. Mr. Graham’s intention is to separate defense from the larger deficit issue by aiming his arguments high and low. The high argument is about American greatness. That might be the “high” argument, but it’s worth mentioning that, even with the cuts we’re talking about, the U.S. will be spending more on its military than anyone else. Enormously more. As in: more than the next 11 countries combined. On its face, the automatic cuts do not sound that bad. If they are put into effect, military spending would decline to its 2007 level, said Todd Harrison, a senior fellow for defense budget studies at the Center for Strategic and Budgetary Assessments. But really it is worse than that. The law exempts war costs and allows the administration to wall off personnel levels and military pay, about a third of the Pentagon budget. That means everything else–operations and maintenance, research and development, procurement, fuel, military construction–would face immediate cuts as deep as 13 percent, Mr. Harrison said. Follow that: The cuts would actually bring the Pentagon to 2007 funding levels, but it’s worse than that… because the cuts would be distributed unevenly. What? And the proposed cuts are often reported as raw numbers–$800 billion or $1 trillion in total cuts over the next decade. As economist Dean Baker has noted (CEPR, 8/4/11), coverage should explain that over this period the military is scheduled to spend close to $8 trillion. Claims of catastrophic consequences from military cuts might also have been tempered by reminders that the Pentagon budget declined by close to 25 percent from 1989 to 1994–a historical context missing from most reports. In other words, the cuts are real, but should be appreciated in the context of massive increases in military spending over the previous decade. The other point of that Extra! piece: Stories worrying about supposedly debilitating cuts to military spending are a dime a dozen, and usually consist of getting Leon Panetta to complain about them publicly. But good luck finding many stories about what’s going to happen thanks to $600 billion in social spending cuts. Reporters don’t seem all that interested in that. June 4, 2012 Posted by aletho | Mainstream Media, Warmongering, Militarism	| Center for Defense Information, Dean Baker, Leon Panetta, Lindsey Graham, New York Times, Peter Hart | Comments Off on NYT: How Can We Be No. 1 if Pentagon Budget Is Cut by 1/12th? U.S. Joint Chiefs of Staff commander General Martin Dempsey visited Colombia on March 29 to announce that within weeks U.S. military personnel will operate from a military base there with the newly formed Vulcan Task Force. The Vulcan Task Force, which was established in December 2011, has 10,000 soldiers, three mobile brigades and one fixed brigade, operating from a base in Tibú, in the Catatumbo region (North Santander), just two miles from the Venezuela border. On April 15, presidents Obama and Santos met during the Americas Summit and agreed on a new military regional action plan that will include training police forces in Central America and beyond. The announcement cited Operation Martillo, by which U.S. and Colombian forces have participated in operations this year against criminal elements on the coasts and interior of Central America. The presence of U.S. soldiers on the military base in Tibú was presented by General Dempsey as an effort by the United States to support Colombia in its fight against drug trafficking and the insurgency. According to Dempsey, the Pentagon plans by June to send U.S. brigade commanders with practical experience in Afghanistan and Iraq to work with police and army combat units that will be deployed in areas controlled by the rebels. Dempsey said that U.S. military personnel will not participate in combat operations in Colombia. The Wall Street Journal reported that Colombia has established its own version of U.S. joint special operations commands that carry out hunt-and-kill missions – operations for selective killings that have included U.S. citizens accused of having ties to Al Qaeda. With these special commandos, Colombia hopes to reach its goal of reducing the FARC guerrillas by 50% in two years. U.S. participation in such an aggressive military campaign would undercut prospective attempts to negotiate a settlement of the armed conflict, which has increasing support in Colombia. The campaign, which apparently does not target successor paramilitary groups, is also likely to benefit those groups, which continue to commit human rights abuses, engage in drug trafficking, and operate in more than 400 municipalities in 31 Colombian states, according to a report by the Institute for Study of Development and Peace, INDEPAZ. The Journal also cited statements by Southern Command chief General Douglas Fraser at a March 12 hearing of the House Foreign Affairs Committee expressing concern about the strengthening of diplomatic relations between Iran and the governments of Venezuela, Ecuador, Bolivia, Cuba, and Nicaragua. The expansion of counterinsurgency forces in Africa and Latin America is also part of a new national security strategy released by the White House in February. Defense Secretary Leon Panetta said that the new strategy introduces “innovative methods” for supporting counter-terrorist forces and expanding the United States’ influence on the two continents. Joint Task Force Vulcan is led by Brigadier General Marcolino Tamayo Tamayo, who in 1985, when he was a lieutenant, participated in the operation to retake the Palace of Justice in Colombia. Similar joint task forces have been created in Tumaco, Nariño; Miranda, Cauca; and Tame, Arauca. The Arab 48 News Agency reported today that US Secretary of Defense, Leon Panetta, announced on Thursday that the United States will provide Israel with $70 million in immediate aid for the purchase of additional Iron Dome rocket defense batteries. This was needed for Israel to meet its fiscal requirements for 2012. In addition, he said that the US was in talks with Israel about the possibility of establishing a multi-year budget plan to assist Israel in purchasing additional batteries. 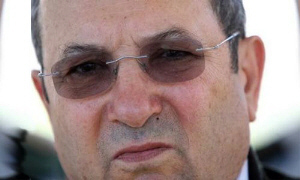 Panetta made the announcement following a meeting with Israeli Defense Minister Ehud Barak at the Pentagon. Barak was in Washington for talks aimed at coordinating strategy with the US ahead of the second round of talks between western powers and Iran scheduled to open next week in Baghdad. Since the deployment of the system last year, Iron Dome batteries have intercepted over 90 Katyusha and Kassam rockets fired into Israel from the Gaza Strip. The new aid package comes after the Obama administration gave Israel $205 million in 2011 and comes on top of the $3 billion Israel receives in annual foreign aid from the United States. Barak thanked the US for its support and said that Israeli-US defense ties had never been as strong as they were today under the Obama administration. “The US decision to support further enhancing Israel’s security is an important demonstration of the unbreakable bonds between the United States and Israel,” Barak said. The Pentagon announced on April 23 that Defense Secretary Leon Panetta has begun a trip to South America, arriving in Colombia as part of a three-nation tour that will also take him to Brazil and Chile. It is his first visit to the continent as Pentagon chief, though he has visited often in other capacities, including as director of the Central Intelligence Agency. Panetta’s meetings with top government and military officials in the three nations will follow those of America’s top military officer, chairman of the Joint Chiefs of Staff General Martin Dempsey, to Colombia and Brazil late last month. Panetta’s mission also occurs two weeks after U.S. and Brazilian presidents Barack Obama and Dilma Rousseff met in the White House on April 9 and agreed on the establishment of the U.S.-Brazil Defense Cooperation Dialogue, announcing that Defense Secretary Panetta and Brazil’s Defence Minister Celso Amorim will hold the first meeting in that format on April 24. Colombia is the largest recipient of U.S. military aid in Latin America, though its population is less than a quarter of Brazil’s, and the third largest in the world after Israel and Egypt. After the passage by Congress of the Clinton administration’s Plan Colombia in 2000, the military in Bogota has received approximately $7 billion in U.S. assistance, up from $50 million in 1998 when it was already the biggest beneficiary of American military aid in Latin America. On October 30, 2009 the Obama administration and that of then-Colombian President Alvaro Uribe agreed on the U.S.-Colombia Defense Cooperation Agreement, which opened up three Colombian air bases, two naval bases, two army installations “and other Colombian military facilities if mutually agreed” to the Pentagon. One of the bases obtained by the United States, the Larandia Military Fort in Florencia, is within easy striking distance of Ecuador, as the Alberto Pawells Rodriguez Air Base in Malambo is of Venezuela. Colombia launched a deadly attack against rebels of the Revolutionary Armed Forces of Colombia (FARC) inside neighboring Ecuador in 2008, which the Ecuadorian government accused U.S. special forces personnel inside its country of having assisted. The following year the Colombian armed forces conducted an incursion inside Venezuela, seizing four border guards. Panetta is in Colombia to coordinate a final offensive against FARC fighters, who have been battling the country’s narco-autocracy and its political minions in Bogota since 1964. According to Acting Assistant Secretary of Defense for Public Affairs and Pentagon Press Secretary George Little, the defense secretary is to meet with Colombian Defense Minister Juan Carlos Pinzon Bueno and General Alejandro Navas, General Commander of the Military Forces of Colombia. On April 23 Panetta praised his military ally, stating, “Colombia, to its credit, has done a tremendous job in going after the FARC.” He failed to mention with, in addition to $7 billion dollars of Washington aid, U.S. helicopter gunships, planes, trainers and special forces troops. In Dempsey’s words, “They selected 2014 as a key moment for them, They want to accelerate their effects against the FARC.” With the Pentagon’s active connivance and assistance, which why is Dempsey was and Panetta is in the country. The Pentagon’s website reported the following on March 27, worth quoting in detail. Dempsey “joined virtually the entire Colombian defense leadership to visit Joint Task Force Vulcano,” just outside the town of Tibu, only three kilometers from the Venezuela border. “Dempsey arrived at the base in a Colombian Air Force Mi-17 helicopter along with Colombian Defense Minister Juan Carlos Pinzon Bueno and Gen. Alejandro Navas, commander of the Colombian Armed Forces. “Following his comments, Dempsey discussed strategy with the minister and the chief of defense and also Army chief Maj. Gen. Sergio Mantilla Sanmiguel, Navy chief Vice Adm. Roberto Garcia Marquez and Air Force chief Maj. Gen. Tito Saul Pinilla-Pinilla. “Before Joint Task Force Vulcano stood up, there were a small number of troops in the region. Now there are more than 10,000, [spokesman for the task force, Colombian army Captain Jose Mojica] said. The forces are composed of three mobile brigades and a geographic brigade. A fourth brigade is getting ready to deploy to the area. Immediately before Dempsey’s visit to Colombia, U.S. Army South held talks with the Colombian armed forces in Bogota from March 19-23. Three years ago CBS News quoted an unnamed Pentagon official stating, “The more Afghanistan can look like Colombia, the better.” The equation is now being reversed. Other top U.S. defense and military officials have for years spoken of “coming back home” to the Western Hemisphere as the war in Afghanistan winds down. Panetta’s and Dempsey’s visits to Colombia and their statements regarding the purpose of them leave no doubt as to where America’s new, at any rate expanded, counterinsurgency war is occurring. Have certain parts of the Constitution become irrelevant, as a former Republican leader once told me at a Foreign Affairs Committee hearing? At the time, I was told that demanding a Congressional declaration of war before invading Iraq, as Article I Section 8 of the Constitution requires, was unnecessary and anachronistic. Congress and the president then proceeded without a Constitutional declaration and the disastrous Iraq invasion was the result. Last week, Obama administration officials made it clear that even the fig leaf of Congressional participation provided by the 2003 “authorization” to use force in Iraq was to be ignored as well. In a hearing before the Senate Armed Services Committee, Defense Secretary Leon Panetta stated clearly and repeatedly that the administration felt it was legally justified to use military force against Syria solely with “international permission”. Such “international permission” could come by way of the United Nations, NATO, or some other international body. Secretary Panetta then told Senator Sessions that depending on the situation, the administration would consider informing Congress of its decision and might even seek authorization after the fact. While Senator Sessions expressed surprise at the casual audacity of Panetta in making this statement, in reality his was just a bluntly stated explanation of what has been, de facto, the case for many years. When President Obama committed the US military to a pre-emptive war against Libya last year, for example, Congress was kept completely out of the process. Likewise, military action in Iraq, Pakistan, Somalia, Yemen, and so on, proceed without a Congressional declaration. In fact, we haven’t had a proper, constitutional declaration of war since 1942, yet the US military has been engaged in Korea, Lebanon, Iraq, Bosnia, Liberia, Haiti, and Libya with only UN resolutions as the authority. Congress’s only role has been authorizing funds, which it always does without question, because one must “support the troops”. Of course we should reserve our harshest criticism for Congress rather than the Administration. If the people’s branch of government abrogates its Constitutional authority to the Executive branch, who is to blame? Who is to blame that Congress as a body will not stand up and demand that the president treat the Constitution as more than an anachronistic piece of paper, or merely a set of aspirations and guidelines? The Constitution is the law of the land and for Congress to allow it to be flouted speaks as badly about Congress as it does about a president who seeks to do the flouting. Just last week the administration announced that it would begin providing material support to the rebels who seek to overthrow the Syrian government. Was Congress involved in this decision to take sides in what may develop into a full-fledged civil war? And what of reports that US special forces may already be operating inside Syria? Still, Congress sits silently as its authority is undermined. Does anybody really wonder why approval numbers for Congress are so low? Many of my colleagues who stood by as then-President Bush used the military as a kind of king’s army are now calling for Congress to act against this president for openly admitting that is his intent. I agree it is time for Congressional action in response to these attacks on our Constitution, but the solution is simple and Constitutional. The solution is simply voting to withhold funds, since Congress has the power of the purse. No money for undeclared wars! The United States will ensure Israel retains “military superiority” over its adversaries as the country faces the potential threat of a nuclear-armed Iran, Defense Secretary Leon Panetta said Tuesday. “This is an ironclad pledge which says that the United States will provide whatever support is necessary for Israel to maintain military superiority over any state or coalition of states, as well as non-state actors,” Panetta told the top pro-Israel lobby in Washington, AIPAC. He touted President Barack Obama’s record of security assistance to Israel, saying the administration has “dramatically” increased military aid since Obama entered the White House in 2009, despite the superpower’s ongoing economic woes. “This year, the president’s budget requests US$3.1 billion in security assistance to Israel, compared to US$2.5 billion in 2009,” said Panetta, according to a prepared text of the speech delivered to the American Israel Public Affairs Committee. Panetta cited advanced missile and rocket defenses and plans to deliver the new F-35 fighter jet to Israel, which he said would provide the country with “unquestioned” air superiority. But amid growing speculation that Israel may conduct a preemptive strike on Iran’s nuclear sites, Panetta made no mention of more powerful “bunker buster” bombs that Israel would need to reach some deeply buried targets. It remains unclear if the Pentagon has provided Israel with the most powerful conventional bomb in the US arsenal, the massive ordnance penetrator (MOP), which the Air Force says could strike facilities 200 feet underground. The Pentagon chief echoed comments by Obama on Sunday, saying the United States would not tolerate Iran obtaining nuclear weapons and was ready to take military action if necessary. “Let me be clear: We do not have a policy of containment – we have a policy of preventing Iran from acquiring nuclear weapons,” he said to applause from members of AIPAC.